Jadon Sancho wants to make the stars of tomorrow say "woah" over his performances, much like he used to when watching his "role model" Ronaldinho. The England winger has enjoyed a rapid rise since making the brave decision to leave Manchester City for Borussia Dortmund 18 months ago. 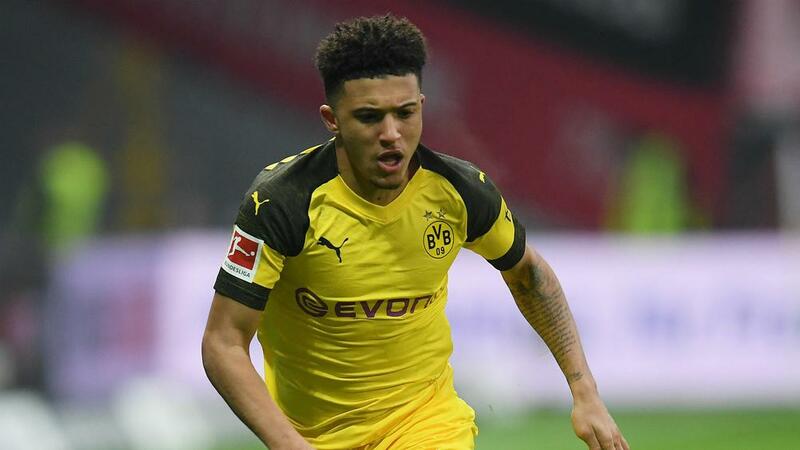 Sancho has scored eight goals and contributed 13 assists in 33 Bundesliga appearances to date, form that earned him international recognition with the Three Lions. Growing up, it was former Brazil, Barcelona and AC Milan star Ronaldinho that Sancho aspired to be like and, in an interview with DAZN, the 18-year-old revealed he wants to have a similar impact. "I can't really speak for everyone, I can only speak on my situation really. My situation was that I just wanted to play football," he said. "I've always wanted to be a professional footballer, make people watch me and say, 'Woah'. Like how I used to watch Ronaldinho and go, 'Wow, I want to be like him one day'. "Hopefully, I could get to that level one day and players will look up to me and say, 'Wow'. "My role model was Ronaldinho. The reason behind that is how he just beat people with ease and did things that no one else was doing at his time. That's why it was him." Despite still being in his teens, Sancho has made a seemingly seamless step into professional football and credits former City team-mate and fellow England international Raheem Sterling, and Dortmund star Marco Reus as the biggest influences on his fledgling career. "There're a lot of good players I've played with. Raheem Sterling will have to be one. Marco Reus is definitely one," he added. "Him [Reus] and Sterling have had the biggest impact on my life. Reus, his case is that he's helped me mature as a player, he can tell when I'm playing my game and when I'm not.